Pharmaceutical Development Group (PDG) is a subsidiary of Biotech Research Group Corporation. Home // Regulatory Updates // Medical Device Consulting News // Do you know when to use the FDA Pre-Submission Program? Do you know when to use the FDA Pre-Submission Program? You just designed the greatest, cure-all class II medical device of all time! Terrific! Now what? Just go to the FDA website, follow the step-by-step procedures for submitting a “traditional” 510(k), submit, and cross your fingers, right? Not so fast! You have reached a critical point in terms of strategic development considerations. You could try and go it alone, or enlist the support of an experienced medical device consultant to help navigate the process. For example, you might benefit from help in confirming the device classification and/or your choice of regulatory pathway for FDA review (there are four types of 510(k)s after all). 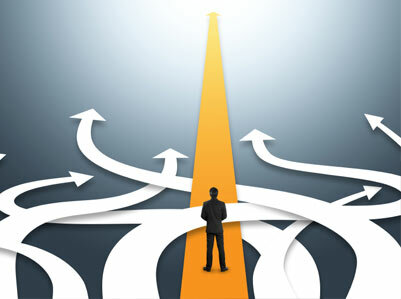 In many instances there are alternate routes to make these decisions. If the device classification is not clear, you can submit a 513(g) for an FDA determination. An excellent option for deciding which, and how best to utilize a regulatory pathway is formal communication with FDA, utilizing their Pre-Submission program (Pre-Sub). The Pre-Sub program is often overlooked, but can save sponsors valuable time and money in the long run. The program and consultation with FDA is free and is designed to support successful registration of your medical device. What is the FDA Pre-Submission Program? CLIA-Clinical Laboratory Improvement Amendments-knowing whether a clinical study requires an IDE. All of the above are collectively referred to as Q-Submissions (Q-Subs). Each is assigned a unique identification number starting with the letter “Q” and followed by six digits (the first two represent the year of receipt and are followed by four showing the order in which the request was received by FDA that year). The Q-numbers must be referenced in all subsequent, related FDA communications. When Should I use the Pre-Sub Program? When Should I Not Use the Pre-Sub Program? The value of the written record with FDA resulting from the Pre-Sub cannot be understated. In fact, FDA advises that in order to officially document the non-written feedback, “applicants will be responsible for developing draft minutes for a Pre-Submission meeting or teleconference, and provide the draft minutes via email to FDA within 15 calendar days of the meeting.” If FDA finds any discrepancies, they will provide edits to the draft minutes to the applicant. The drafted minutes will become final minutes 15 calendar days after the applicant receives FDA’s edits. How do I request a Pre-Sub? Regardless of the scope or specific request, PDG is comprised of expert consultants who can assist you in determining your FDA medical device submission needs. It is optimal to contact us in advance of any Pre-Sub requests or FDA meetings. Experience has taught us that rigorous preparation and strategic regulatory planning coupled with FDA collaboration provides the best results in getting a medical device to market sooner, as well as keeping it on the market. Jodi Hutchins is an Independent Regulatory and Quality Consultant with over 15 years of global medical device registration experience, to include FDA 510(k) submissions. She held her most recent position for 9 years, as QA/RA Director for a worldwide distributor of medical devices. Charles Jaap is Vice-President of Operations and Business Development for PDG, a global pharmaceutical and medical device consultant with extensive experience in the strategic development of drug products and medical devices. Please feel free to contact us for more information. The opinions and statements in this paper are solely those of Charles Jaap and Jodi Hutchins and do not necessarily reflect those of PDG. PDG is your Pharmaceutical Consultant. ©2019. Pharmaceutical Development Group, Inc. All Rights Reserved. Development Group, Inc.Pharmaceutical Development Group (PDG) is a subsidiary of Biotech Research Group Corporation.